Estádio dos Barreiros known by locals as O Caldeirão (The Cauldron), is a multi-functional sports stadium located in the Portuguese coastal city of Funchal. Chiefly used for the football matches of local side Club Sport Marítimo, the 8,922 capacity ground first opened in 1957 and was last renovated in 2009. The site of C.S. Marítimo’s Estádio dos Barreiros has been used for football since at least 1927 when it was first known as Campos dos Barreiros. First used by Club Desportivo Nacional who purchased the field and inaugurated it on the 26th June 1927 with a game against Vitória de Setúbal, they were forced to sell the stadium to the local council on the 24th February 2004 after encountering serious financial difficulties. 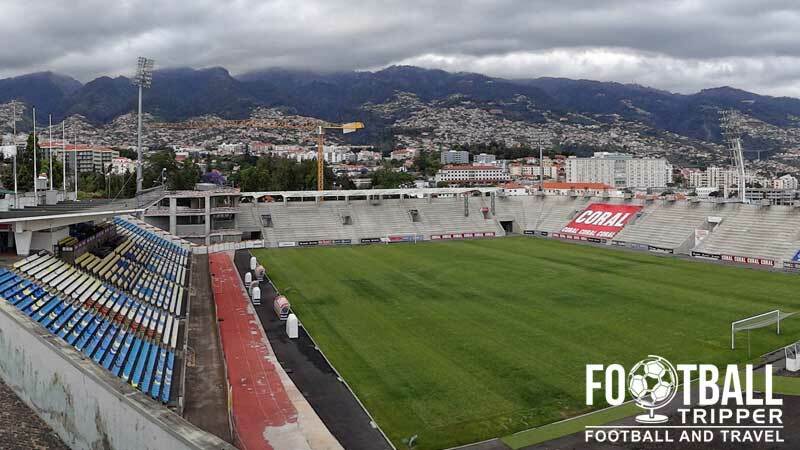 With the local government long wanting a multi-purpose sports venue for the area of Funchal, Campos dos Barreiros provided the ideal foundations and plans were immediately formulated for a 17,000 capacity stadium. 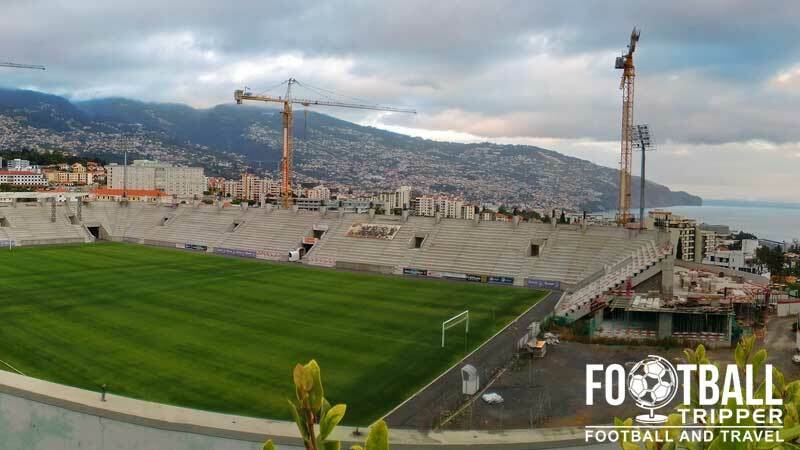 Building commenced on the 21st March 1951 and six years later the stadium reopened under the current name with 12,000 fans attending the opening game between a Madeira select team and the Reserve team of Portugal. In 1969, a largely unpopular decision was made by the council to rename Estádio dos Barreiros to Estádio do Professor Marcelo Caetano, with fans continuing to refer to the stadium by its previous name. Estádio dos Barreiros was also at its lowest point of popularity when up to three football teams used the pitch each week resulting in the degradation of the playing surface which disappointed both players and fans. 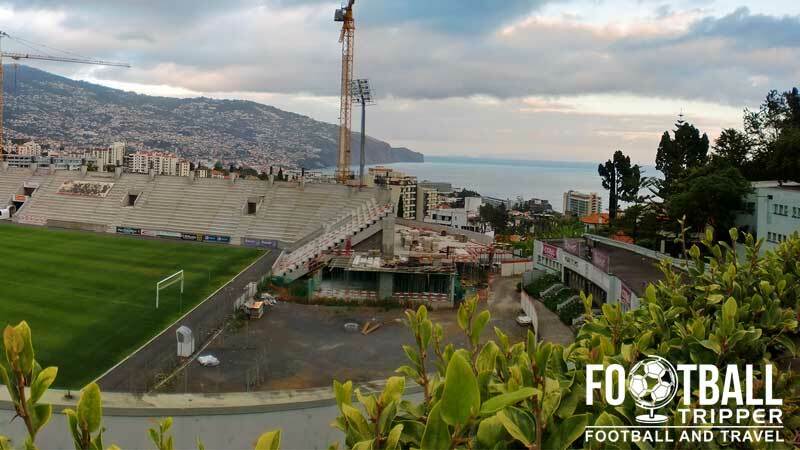 Club Desportivo Nacional took the decision to relocate to their own stadium, Estádio da Madeira, with Club Sport Marítimo becoming the sole tenants in 2008 when União relocated back to their spiritual home of Campo do Adelino Rodrigues in the city centre. In recent years Maritmo have formulated plans to locate to a brand new stadium within the Praia Formosa area of the island but to little success. Now, it appears as if the home team will continue to play at Estádio dos Barreiros, with redevelopments set to be carried out instead starting with the realignment of the pitch on the 20th July 2009. The culmination of the modernisation will see the stadium’s capacity increase to 10,000 plus by the end of the 2015 season. O Caldeirão is comprised of four stands: North, East, South and West. We don’t currently have any information regarding the location of the visiting supporters. If any Portuguese Football Trippers happen to know then please get in touch. The best place to purchase official merchandise of C.S Maritimo appears to be from the online store. Although there is most definitely a club shop at or around the ground, there’s no information online as to its opening hours. You won’t find any stadium tours available of C.S. Marítimo’s ground, even after the recent renovation work. Tickets to see a game at Maritimo’s home stadium are usually purchased in person either in the weeks leading up to the match or before kick-off, and are unlikely to cost you more than €18.00. Online ticket sales are yet to catch on across Portuguese Football with the exception of the big three teams. 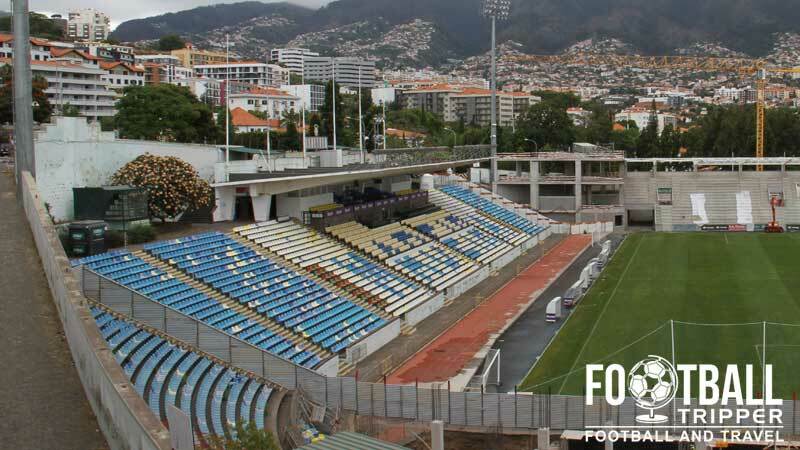 Estádio dos Barreiros is located within the São Martinho neighbourhood of Funchal which is the capital of the Autonomous Region of Madeira. There isn’t really an exact centre within the city of Funchal as everything is spread out in a linear fashion along the coast. There doesn’t appear to be any on-site parking available at Estadio dos Barreiros. A splendid view overlooking the city Funchal on the island of Madeira. Less than 100 metres north of the stadium along Rua Dr. Pita there is the “Barreriros D” bus stop which is named after the ground. This is served by bus numbers 8, 16, 45 and 83. The largest cluster of hotels can be found 1.5 km south-west of the ground along Estrada Monumental. Three such examples are Savoy Gardens Hotel, Hotel Raga and the no frills Hotel Dorisol Florasol which is more than adequate.